The airline has responded to Australia’s International Air Services Commission’s (IASC) request for more information on the codeshare agreement it has signed with Cathay Pacific that covers Australia-Hong Kong routes, destinations beyond Hong Kong, and Australian domestic services. Qantas group executive for government, industry, international and sustainability Andrew Parker told the IASC the proposal represented “a pro-competitive expansion of each carrier’s ability to sell and market itineraries and will not substantially lessen competition on any relevant market”. Further, it would not alter the incentives of carriers on the Australia to Hong Kong route, or any other route, to continue competing and innovating in the best interests of consumers. “While the arrangements encourage the parties to maximise passenger convenience and service, both carriers will continue to aggressively compete against each other on all routes (whether covered by the codeshare or not),” Parker wrote in his submission dated February 11 and posted on the IASC website. The two airlines announced plans to begin codesharing on some of each other’s flights in September 2018. The initial agreement, that came into effect in October 2018, had Cathay Pacific adding its CX airline code on 13 Australian domestic routes operated by Qantas. Meanwhile, Qantas added its QF airline code on two Australia-Hong Kong routes (Cairns and Perth to Hong Kong) and 10 routes from Hong Kong to India, Myanmar, Sri Lanka and Vietnam operated by Cathay Pacific. 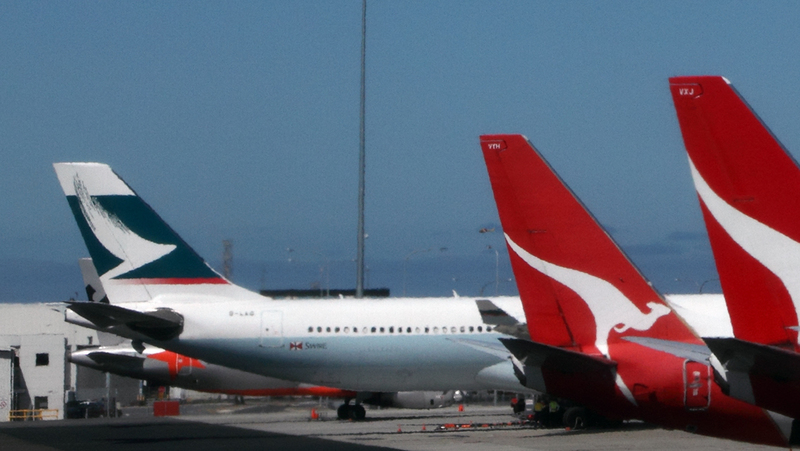 Then, in early January 2019, Qantas applied to the IASC, the Australian government body that allocated international airline capacity, to expand the agreement to allow Cathay Pacific and Qantas to codeshare on each other’s flights between Australia to Hong Kong, without mentioning specific city pairs. 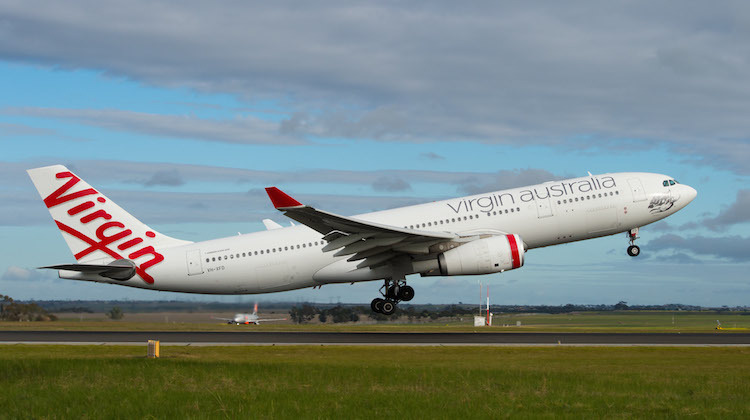 Virgin Australia expressed significant concerns with the proposed expansion, arguing it would “result in an unnecessary expansion of both Qantas and Cathay Pacific’s market power, to the detriment of the travelling public”. “This would inevitably diminish the competitive forces in the market and may lead to higher airfares and reduced choices for customers, with corresponding implications for Australian tourism and trade,” Virgin Australia head of government and industrial relations Lee-Anne Tomkins said it the airline’s submission. The Australian Competition and Consumer Commission (ACCC) also weighed in, telling the IASC it would be “better placed to provide substantive comments after Qantas provides further information in support of its application”. 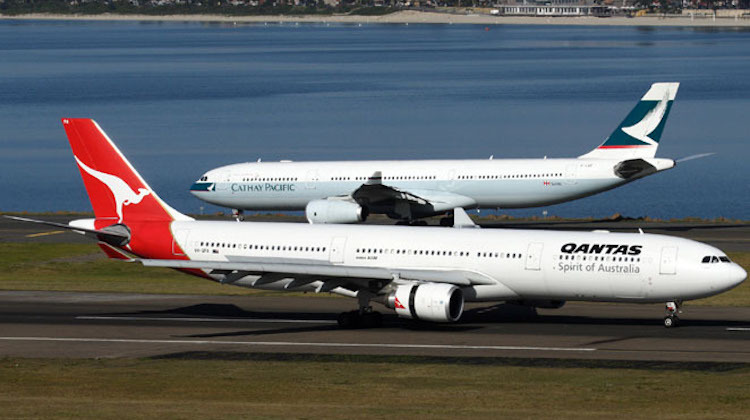 Qantas’s February 11 submission to the IASC has offered more details on its proposed expanded codeshare with Cathay Pacific that is due to kick off on March 31 2019, subject to regulatory approval. 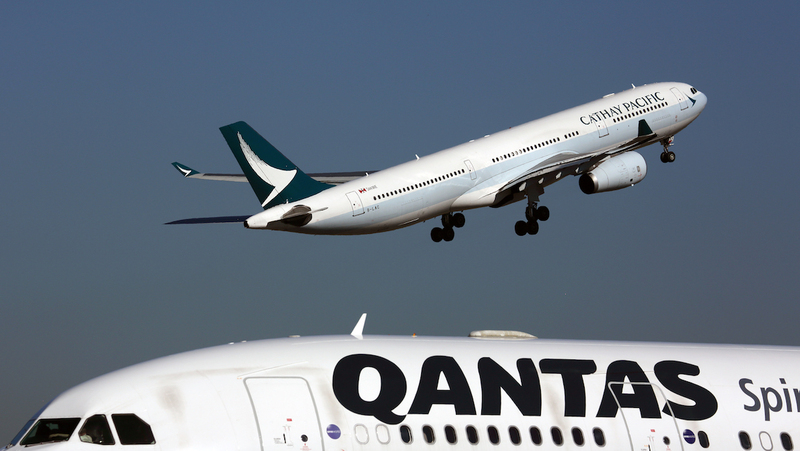 On the key trunk routes from Brisbane, Melbourne and Sydney to Hong Kong, Qantas would add its QF code on 35 Cathay Pacific-operated flights a week, while Cathay Pacific would add its CX code on 35 Qantas-operated services a week. However, the codeshare flights on these routes would only be sold as part of a through journey involving connections either beyond Hong Kong on Cathay Pacific or to other Australian domestic destinations from Brisbane, Melbourne and Sydney on Qantas. “This means, for example, that a passenger travelling point to point from Sydney to Hong Kong will not be able to be sold a ticket under the codeshare and instead, as is the case today, will only be able to purchase a Qantas airfare on a flight operated by Qantas with a Qantas flight number or a Cathay airfare on a flight operated by Cathay with a Cathay flight number,” the Qantas submission explained. Further, Qantas said the chosen flights for codeshare have been selected to “minimise schedule overlap to incentivise each carrier to continue to promote and market their own metal services whilst utilising the codeshare flights to maximise connectivity options to each carrier’s extensive behind and beyond networks”. The codeshare would be provided on a free sale basis, which meant the airline operating the flight was able to decide how many seats it would make available for sale. Qantas said Cathay Pacific would still be able to offer interline connections on Virgin Australia. In addition to the addition of codesharing on each other’s flights from Brisbane, Melbourne and Sydney to Hong Kong, Qantas also planned to add its QF code on selected Cathay Pacific-operated flights from Hong Kong to India, Japan, South Korea and Sri Lanka. Similarly, Cathay Pacific would add its CX code on 32 new Qantas-operated Australian domestic routes. “Customer choice is not diluted or restricted in any way by the proposal,” Qantas said. Qantas noted in its submission the expanded codeshare with Cathay Pacific would ensure it was able to offer convenient connectivity to five destinations in India – Bangalore, Chennai, Delhi, Kolkata and Mumbai. Those five cities covered 76 per cent of all Australia to India origin/destination traffic. This was important given its access to India via codeshares with Jet Airways and interlines with Air India was changing. “The ability for Qantas to offer a maximum range of itineraries beyond Hong Kong to India is particularly critical given the risk to Qantas’ ability to offer codeshare route options on Jet Airways and loss of interline options on both Jet Airways and Air India as a result of changes to these carriers’ distribution platforms (from 1 April 2019 and 4 December 2018 respectively),” Qantas said. “These changes will impact Qantas’ ability to offer a more comprehensive India network to consumers. Currently, Cathay Pacific serves six destinations in Australia – Adelaide, Brisbane, Cairns, Melbourne, Perth and Sydney – from its Hong Kong hub with a mix of Airbus A330-300s, A350-900s and Boeing 777-300ERs offering business, premium economy and economy. This does not include freighter services. Virgin Australia’s submission to the IASC noted Cathay Pacific and Qantas operated 88 per cent of all passenger flights between Australia and Hong Kong, which represented a combined seat capacity share of 90 per cent. On the Australian side, the Qantas submission noted Australian carriers were yet to use their total entitlement of 72 frequencies per week between the four major gateways of Brisbane, Melbourne, Perth and Sydney to Hong Kong, with 29 frequencies per week still available. Tut Tut !! ‘Virging’ spits the ‘dummy’. This massively distorts the market. Out of Sydney, QF/CP 6 flights to VA’s 1, this is nothing like the trans pacific partnerships to the US, where they balance the competing airlines and even up the market share which would benefit customers. It’s disingenuous of Joyce to comment that Virgin, is not disadvantaged here, when the legacy airlines had the government regulate the market for over 50years and get estabolished and protected from competitors then open it up, entry into a market against these Goliath company’s is always difficult in any market, let alone do they need further assistance with mutual partnerships when no other opposing equal competitor exists. This is the regurgitation of Corporate spin and Press Releases.